bmaxell@mt.gov Bryce Maxell grew up surrounded by a variety of farm animals and spent many hours dogsledding in the mountains of Utah. He completed a B.S. in Biology and a B.A. in Economics at the University of Puget Sound in 1994 where he studied the demography of kelp species in the Puget Sound and was an NAIA All-American swimmer. After his undergraduate degree, he received a Thomas J. Watson Fellowship for a yearlong independent study of the natural history of Australia and New Zealand in 1994 and 1995. Bryce completed his Ph.D. in Fish and Wildlife Biology in the Wildlife Biology Program at the University of Montana in 2009 where he completed a state-wide status assessment of, and constructed predicted habitat suitability models for, Montana's amphibian and reptile species and examined the population demographics of Columbia Spotted Frogs. Between 1996 and 2015, Bryce conducted field inventories for a variety of animal species in Montana. During his time in Montana he has authored or coauthored three books, a dozen peer reviewed publications, and 35-plus professional reports on amphibians, reptiles, bats, small terrestrial mammals, birds, terrestrial mollusks, and fish. Bryce is passionate about making biological information available to resource managers and the general public so that Montana's plants, animals, and terrestrial and aquatic communities can be appreciated by current and future generations and is excited to lead Heritage Program staff in this endeavor. dpatzer@mt.gov Darlene Patzer has been with the Natural Heritage Program since July 2004. She supports the Heritage Project Managers with grants and finance administration. Darlene earned her Associates Degree in Business Administration from Carroll College while working full-time and raising two daughters. Prior to joining the Heritage Program, Darlene spent a great 16 years with the Helena Branch of the Federal Reserve Bank of Minneapolis. She learned everything from running check sorters to being the lead accounting analyst and finally the check transportation coordinator in Montana. A native Montanan, Darlene enjoys working with the Heritage staff to support responsible stewardship of Montana's natural resources. Her own time is spent pursuing her interest in horses with her daughter and learning new things. lweaver@mt.gov Lindsey Weaver hails from Manchester, England and is definitely a city girl! However, she's learning to love a little bit of country life since moving back to Helena in 2015. Now her family has Guinea pigs, a dog, horses and are awaiting chickens. They also have natural trout in the stream on their property. This summer Lindsey might even learn how to grow a fabulous garden in her new Montana climate! Lindsey attended college in England for two years whilst working full-time and received her National Certificate in Public Administration. After visiting the States at 17 she decided she loved it so much that she saved up for two years in order to attend college here. She completed her Associates in Interpersonal Communications and then married a U.S. Marine who later became an Officer in the U.S. Army. Consequently, they've moved about 19 times (not that she's counting!) Their duty stations include Hawaii, California, Germany, Texas, New Mexico, Kentucky, Georgia, New York and Montana. They recently left Utah and are finally putting down deep roots in Helena. However, with an English daughter-in-law and Chinese son-in-law, their adventures are certainly not over. kvwcoleman@mt.gov Karen Coleman has been the Biological Data Systems Coordinator for the Montana Natural Heritage Program since September, 2004. 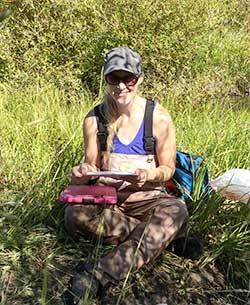 She coordinates species and habitat data from submission by field biologists to data exchanges with NatureServe. Karen has a B.A. in Environmental Studies from Oberlin College, and an M.S. in Forestry (emphasizing GIS) from the University of Minnesota. Karen was at the University of Minnesota from 1994 to 2003 working as a data manager and forest ecology technician prior to receiving her M.S. From 2003 to 2004 she was a GIS technician for the Chippewa National Forest in Minnesota. dratz@mt.gov Dave Ratz ("Ratz") was an Air Force Brat, born in Okinawa, raised everywhere, finally settling down in the Rocky Mountains. He's worked in computers for 28+ years but has tried his hand at everything. At age 25, Ratz suffered a quarter-life crisis: sold everything, bought a backpack and lived in the woods for eight months. If it weren't for Loma Linda University dragging him back into the workforce, he might still be there. Alas, for every time there is a season, and now he can't get by without his five monitors, cell phone, and golf clubs. You can find his office by looking for the most decorated 'cube' nestled among the other talented data geeks. sblum@mt.gov Scott Blum's current focus is reviewing Heritage database records for animal observations: if you've submitted an animal observation to NHP, there's a better than good chance that Scott has given it the once over. Scott was born and aged in Oswego, New York on the shore of Lake Ontario (Official Town Motto: "Oswego, where the water never ends." Unofficial Town Motto: "At least we're not Fulton."). In fits and starts, he completed a B.S. in Zoology (SUNY Oswego) and an A.S. in Zoo Animal Technology (SFCC Gainesville, Florida); subsequently launching and crashing a brief career as a zookeeper at the Racine Zoo in Wisconsin and the Brookfield Zoo in Illinois. After a nine year sabbatical at Pet Pals pet store (Liverpool, NY), he returned to school to chase mountain lions for his M.S. in Ecology from Idaho State University, Pocatello. During and after graduate school he spent time as a technician on various research projects including tracking lynx and coyote around Seeley Lake and collecting bear hair in the Swan Valley. Scott spends his time in and around Helena hiking with his dog, Bug, and honing his bread baking skills. bburkholder@mt.gov Braden Burkholder specializes in bridging the divide between on-the-ground biological knowledge and technical data solutions, while claiming expertise in neither. He has over 14 yearsï¿½ experience in wildlife ecology and data management, anchored by a B.A. in Biology from Whitman College and an M.S. in Fish and Wildlife Management from Montana State University. 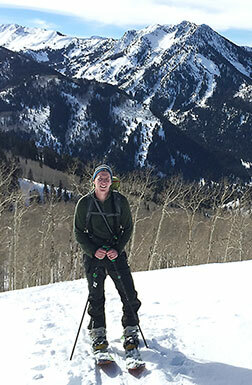 Braden has found his niche as NHPï¿½s Biological Data Analyst, which can be boiled down to: solving problems to improve the data resources available for native species conservation, invasive species management, and habitat stewardship in Montana. Despite more familiarity with vertebrate taxa, he has been able to contribute to a diversity of projects involving Zoology, Botany, and Ecology Program staff at NHP. 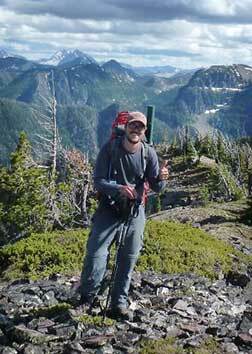 His current responsibilities include: integrating large observation and survey datasets into NHP databases, producing habitat suitability models for Montanaï¿½s Species of Concern, managing and analyzing mountains of bat acoustic data, writing scripts for task automation, and creating tools to simplify data submission. He has been accused of wizardry in the realms of GIS, Python and geospatial data manipulation, but insists these rumors are unfounded. 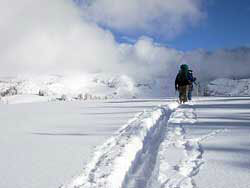 A Helena native, Braden frequents the renowned trails of the South Hills on foot and bike when not at his desk. apipp@mt.gov Andrea Pipp serves as the Program Botanist for the MTNHP. She earned a BA in Zoology (1989) and a MS in Wildlife Biology (1998) from the University of Montana. Every wildlife job required studying habitat and Andrea became more and more interested in vascular plants, then intrigued by mosses, dabbled with fungi, and really took a liken to the lichen communities. Her master's study evaluated if canopy lichen biomass, species diversity, and community composition was more influenced by the age of a forest or by the structure of that forest. She has been certified as a Lichenologist for Macrolichens of the Pacific Northwest since 2001. Andrea has 29 years of botany and wildlife experience working in 12 states for the federal, state, and private sectors. Her past project work was focused on issues relative to forestry, stream and wetland restoration, transportation, residential development, and oil/gas development. Her specialties are in vascular plant (native/exotic), lichen, and bryophyte identification, surveying, and monitoring, wetland delineation, resource impact assessment, and technical writing. She serves on the Board of the Northwest Scientific Association and is a member of the Montana Native Plant Society, Friends of the UM Herbarium, Northwest Lichenologists, and American Bryological / Lichenological Society. Wildfire.Wanderning@mt.gov Wildfire feels honored to serve at MTNHP, whose members help to care for Montanaï¿½s society, all those dwelling in Earth, Water, and Sky. After growing up in western Kansas, the eventual masterï¿½s degree in biology from Kansas State was realized with the help of a whistling ornithology professor, a tea-swigging herbarium curator, many others, and the inspiration heaped upon her by Tallgrass Prairie. This led to wandering the Flint Hills of Kansas, performing low-tech seed dispersal errands for her native plant friends with a poke of a finger into the embracing soil, and finding work on the land, such as following the water and nutrient cycles through Konza Prairie; planting diverse savannah and prairie restorations in the idyllic Baraboo Hills of Wisconsin; ground-truthing Kansas plant communities for the GAP project; hunting historical plant records and the elusive groundnut, Apios priceana, for our sister program in Kentucky, (where she heard the highest praise for MTNHP); plant inventory and monitoring at National Park Service sites in seven Midwestern states; and tending to grassland water quality back at Kansas State. Wildfire eventually came to Montana where she volunteered at the Humane Society, adopted and loves two miracle, wolfie-like puppies, and dreams of dancing with plants and animals, bogs, and waterfalls. livance@mt.gov Linda Vance has two law degrees (McGill University and York University in Canada) and a Ph.D in Conservation Ecology (University of California, Davis). After several years of teaching political science and philosophy and practicing law in Vermont, she made a career shift to the natural sciences, working with ranchers to implement water quality improvement strategies in eastern and coastal California, designing continuing education programs in biological sciences and agriculture for the University of California, studying frog and fish interactions as an aquatic ecologist for the Forest Service's Pacific Southwest Research Station, and finally, in 2005, joining MTNHP. In her current role as Senior Ecologist, her work involves classification, description, mapping and modeling of terrestrial, aquatic and wetland systems; analysis of ecosystem processes and dynamics; development of GIS-based tools for landscape-level assessment; and refinement of field-based protocols for evaluation and monitoring. Her current projects include field based assessment of terrestrial and aquatic rangeland health, analyses of the interactions between wetlands and fire, development of management-sensitive indicators of wetland integrity, and statewide mapping of wetlands and riparian areas. In her spare time, which is largely illusory, she tends a huge garden, leads volunteer trail crews, ties flies on hooks she can barely see, builds bamboo and graphite fly rods, and fishes the rivers and streams of the Rocky Mountains and the inshore waters of the Florida Panhandle. LBailey@mt.gov Lydia Bailey has a B.S. in Wildlife Biology from the University of Vermont with a focus on Wildlife Management and Forestry. 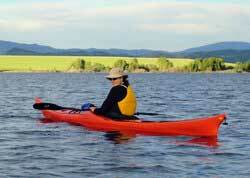 Her love of skiing and hiking brought her from Vermont to Montana in 1991. She has 25 years of experience with Montana Fish, Wildlife & Parks (FWP) applying GIS technology to natural resource management. She served FWP as a lead GIS Analyst for 12 years in Kalispell and as the GIS Manager for 13 years in Helena. She retired from FWP in June 2017 and has been enjoying traveling, camping, skiing, hiking, and bird watching ever since. In her semi-retirement, she is still actively pursuing these activities while working part time with the MT Natural Heritage Program applying her GIS skills to help make natural resource information readily available. eric.dressing@mso.umt.edu Eric Dressing was born and raised in Southeastern South Dakota. It was there that his passion for the outdoors grew during summer camping trips, fishing on the Missouri River, and pheasant hunting in South Dakotaï¿½s expansive grasslands. He was fortunate to have the opportunity to see much of the western US while on family ski vacations and truly fell in love with the mountains, knowing someday he would make his home there. He studied Biology with an emphasis in Ecology & Evolution at the University of South Dakota and spent one semester on exchange at Montana State University. During college, he focused primarily on large river ecosystems and worked on piping plover and Missouri River cottonwood forest projects. In 2010, he interned for the BLM in Battle Mountain, Nevada and was involved in an array of projects including sage grouse capture, rangeland health evaluations, and aspen surveys. 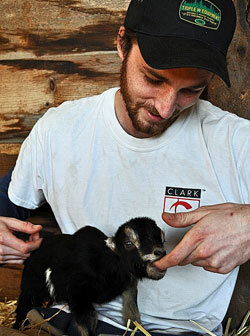 Eric was hired by MT Natural Heritage Program in 2013 as a crew leader for a white bark pine project. It was then that he became captivated by the mountains and forests of Montana. Since joining MTNHP, Eric has been involved in numerous forest ecology projects as well as photo interpretation projects throughout the state. In his spare time, Eric enjoys getting outside with his wife, Caitlin, and two dogs, Jackson and Sego Lily. You can often find him backcountry snowboarding, tinkering in the woodshop, making a mess in the kitchen, or enjoying Montanaï¿½s beauty from his raft. jhahn@mt.gov Jamul Hahn spent seven years prior to joining the Natural Heritage Program staff as a GIS technician with a private sector engineering and surveying firm. Jamul managed broad ranging projects including mapping Helena's expansive and growing open space trail system for Prickly Pear Land Trust, vegetation and riparian mapping along the Rocky Mountain Front for the Montana chapter of The Nature Conservancy, and most recently mapping 900 miles of backcountry trail for the Mount Hood National Forest. Jamul studied at the University of Montana in the Geography program with an emphasis in GIS. Before that, he spent several years in the saddle of a bicycle racing throughout the country as a professional road cyclist, and coaching young athletes on bikes during summer months and cross-country ski racing in winters. He now enjoys coaching his own daughters and their friends on Helena's soccer fields, running trails with his border collie, biking with friends, and skiing with his wife and their girls. karyn.hajek@mso.umt.edu Karyn (Kay) Hajek is a plant ecologist with experience in research, land management, conservation and education. After earning a B.S. in biology from Xavier University (Cincinnati, OH), she worked as a biologist with Delaware State Parks, monitoring wading bird nesting habitat and implementing an invasive plant management program. This sparked her interest in plant ecology, and ultimately led to a Ph.D. in Ecology from SUNY College of Environmental Science and Forestry (Syracuse, NY) in 2014. Her dissertation research focused on patterns of plant diversity in rich fens, and evaluated livestock grazing as a management tool in temperate peatlands. Prior to joining MTNHP, she was a post-doc in ecological research in Dr. John Maronï¿½s lab at the University of Montana, focusing on grassland plant species coexistence and spending three intensive field seasons working in the Blackfoot Valley, MT. She is looking forward to working with the MTNHP to have a more direct impact on management and conservation of natural resources and public lands. In her spare time, Kay enjoys spending time with family and friends, preferably outdoors, hiking, running, biking, xc-skiing and exploring Montana. jennifer5.jones@mso.umt.edu Jennifer Jones spent her early years on the sunny beaches of North Carolina. She received a Bachelorï¿½s Degree from North Carolina State University in Plant Sciences and used that background to land her first field job in Colorado with the Natural Heritage Program. She then spent 10 field seasons tramping around the Southern Rocky and Sierra Nevada ranges doing vegetation mapping, county wetland inventories, and any field job that involved extended back-country work. She received a Masterï¿½s Degree in Ecology from Colorado State University in 2011 working with the Sierra Nevada Inventory and Monitoring Network during the initial stages of protocol development for wetland monitoring in Yosemite, Sequoia and Kings Canyon National Parks. She spent a year in Alaska with the Central Alaska Inventory and Monitoring Network and then two years in Utah where she acted as the State Wetland Coordinator for the Utah Geological Survey Wetland Program. She and her family moved to Bozeman, Montana in 2014. She is looking forward to continuing the important work of Wetland Program Development and other ecological monitoring and assessment for the Natural Heritage Program here in Montana. 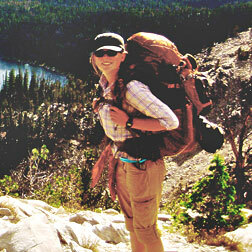 emily.luther@mso.umt.edu Emily Luther grew up in the west where she developed her love of open landscapes and backcountry spaces. She realized at an early age that nothing made her happier than spending time outside, so it seems her passions of camping, hiking, and gardening were set from day one. Emily has always had a deep love of animals which, at 17, led her to become a veterinary technician. She spent 6 years working in vet clinics across New Mexico, Wyoming, and Colorado. Eventually, her love of animals took her in a new direction when she came to the University of Montana to study wildlife biology. Montana was a perfect fit for Emily, allowing her to get her outdoor "fix" by raft guiding in the summers and teaching snowboard lessons in the winter. After graduation she enjoyed several opportunities to work with Montana wildlife species, including elk and sage grouse. In 2013 she was hired by the MT Natural Heritage Program to work as a field technician studying both white bark pine and wetland ecosystems. 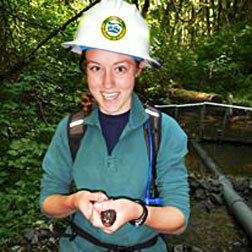 She was immediately enchanted by working in wetlands and gained a deep appreciation and interest in wetland science. In her spare time Emily still enjoys rafting and snowboarding (although just for fun now). 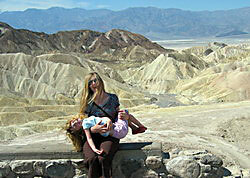 She also loves to hike with her dog Akila, as well as backpack, travel, garden, and cook. sowen@mt.gov It must have been Sara Owen's calling in life to work in wetlands, because as a young girl when people would ask what she wanted to be when she grew up, she always answered "a frog." Fortunately, Sara's dad was a wetland scientist, and soon she was assisting her father with wetland delineations. Thus, Sara learned to identify wetland plants and hydric soils at an early age. In college, Sara worked on a research project on the Buffalo National River, and learned to identify aquatic macroinvertebrates. After completing a B.S. in biology at the University of Central Arkansas, Sara packed her bags and headed west. 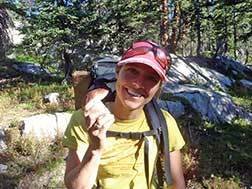 She joined the Stream Ecology Center at Idaho State University and spent her summers in Idaho backpacking and sampling streams in the Salmon River basin of the Frank Church River of No Return Wilderness. When she wasn't in the field, Sara was behind a microscope identifying aquatic macroinvertebrates or at a computer examining post-fire vegetation recovery of streams in the Frank Church using hyperspectral imagery. After completing her M.N.S., Sara taught biology at ISU for two years before moving back to Arkansas to once again work in wetlands. Most of her time in Arkansas was spent working on a Wetland Management Plan for White Oak Bayou in Maumelle, Arkansas, where she founded a monthly newsletter, The Cypress Knee, to keep the public informed. 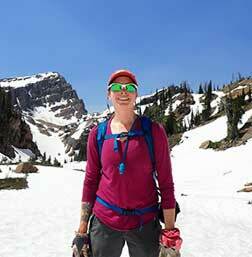 In her spare time, Sara loves to hike with her husband, Scott, and their dog, MaeBelle. She also loves to backpack, cook, bake bread, garden, raise chickens, and knit, but not in any particular order. ryhan.sempler@mso.umt.edu Ryhan Sempler was born and raised in a small town in Upstate New York, where his passion for wildlife and their habitat was born. This led him to a Bachelorï¿½s Degree in Wildlife Science from SUNY Environmental Science and Forestry in Syracuse, NY. The beginning of his career focused on wildlife conservation and habitat management projects for the state wildlife agencies of NY, GA and MT. This work transferred over to managing his familyï¿½s property for wildlife and sustainable timber production. In 2012, he moved to Utah where he explored the state as a wetland ecologist for the Utah Geological Survey. There he focused on assessing wetland condition and function within watersheds, and mapping wetlands throughout the State. In 2018, he moved to Missoula where he is looking forward to continuing his passion with the Montana Natural Heritage Program. In his spare time, he enjoys all things outdoors, training his bird dog, and showing his son all of the beautiful wild places. cwestfall@mt.gov Camie Westfall is a Montana native who grew up on a small ranch enjoying hiking, mushroom hunting, skiing, big game and bird hunting, and fishing in the beautiful Bitterroots and all across Montana. She earned a BS in Environmental Biology from Pacific University Oregon where she became fascinated with rough skinned newts and other amphibian species of the Pacific Northwest. She also had an opportunity to work on a project researching human impacts on Roosevelt elk habitat. During college, she spent her weekends and one summer working for Oregon Department of Forestry at the Tillamook Forest Center where she engaged with the public about the wonders of costal, temperate rainforests and learned about forest management policies. Although she loved the diversity of ecosystems in Oregon, Montana was always calling her back. In early 2016, she started working for the University of Montana in the Paleoecology lab developing fire history records from Alaskan lake-sediment cores. She enjoyed the paleoecology work, but has always had a deep interest in water resources. She started at MTNHP doing statewide wetland surveys and excavating large, muddy, grave-like soil pits. She also worked a stint for Montana FWP doing aquatic invasive species surveys where she learned to identify aquatic invasive plants and macroinvertebrates while kayaking the Yellowstone. Camie is happy to be back in her motherland enjoying the outdoors and expanding her horizons with MTNHP. jessica.mitchell@mso.umt.edu Jessica Mitchell joined the Montana Natural Heritage Program in summer 2018 to direct the Spatial Analysis Lab on the University of Montana campus in Missoula. She grew up in the Baltimore / DC area and studied environments in the western US as a consultant and then graduate student at Idaho State University, where she earned an MS in GIScience (2007) and a PhD in Engineering and Applied Science ï¿½ Geosciences (2011). Her early work included wetland delineations, preparing environmental assessments, implementing National Environmental Policy Act regulations, and learning a little about fire management along the way. As a student and early career scientist, Jessica has concentrated on mapping invasive species, semi-arid shrublands, and plant diversity in the Appalachians from airplanes and space. After several tours of duty dedicated to becoming a more effective teacher, Jessica returned to the western US to continue land cover mapping (especially in sagebrush country), grow a daughter, and spend time outdoors with her family. joseph.fortier@mso.umt.edu Joe Fortier grew up in Maine where he gained a love for rural communities, cold weather, and open spaces. He had an opportunity late in high school to take a GIS course, which he 'totally rocked' and has seemed to set the direction of his life since. Joe received his B.A in Geography and M.A in GIS from Clark University in Worcester, Massachusetts, focusing on the use of remotely sensed imagery for environmental monitoring and land management. Following school he worked briefly in Kenya mapping for a conservation organization and then spent four years in Washington, DC performing remote sensing and agricultural analysis for the USDA Foreign Agricultural Service. At the time of joining MTNHP he was coming off a year as a farmer's apprentice in North Idaho growing vegetables and milking goats; activities he would like to, one day, incorporate into his daily life. In his spare time Joe enjoys reading science blogs, baking bread, and exploring his surroundings on foot. His favorite organic compound is geosmin. For the past 15 years, she has worked at the Spatial Analysis Lab on a variety of wildlife-related projects, from passerine birds to wolverines. She was project coordinator for Montana Gap Analysis, completed in 1998. Currently she is assisting with the development of an Ecosystem Management Decision Support system for the Northern Region of the Forest Service. Her most time-consuming project over the past 5 years has been Margaret (pictured). claudine.tobalske@mso.umt.edu Claudine Tobalske is originally from France where she studied plant biology. Claudine fell in love with the Rocky Mountains in 1991 during a 5-months internship in Fort Collins, Colorado. 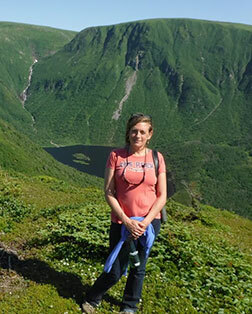 She came back the following year to attend the Wildlife Biology program at the University of Montana, earning a Ph.D. in 1998; her dissertation involved developing woodpecker-habitat relationship models using atlas data from France and Switzerland. During that time she was also a research assistant for the Spatial Analysis Lab, becoming involved with Montana Gap Analysis and learning GIS in the process. In 1999 she moved to Oregon, where she was a GIS analyst for the Oregon Natural Heritage Information Center until June 2008. While employed at ORNHIC, Claudine worked primarily on broad-scale vegetation maps, such as the Sagemap and NorthWest ReGap ecological system maps; she also developed a variety of wildlife-habitat and rare plant predictive distribution models. 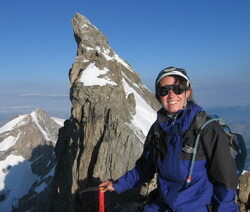 When not stuck behind a computer, Claudine enjoys a variety of outdoor activities such as climbing, hiking, skiing, running, mountain biking, and gardening. dbachen@mt.gov Originally from rural Alaska, Dan Bachen grew up surrounded by mountains with abundant outdoor recreation opportunities and a diverse community of fish and wildlife species. Dan eventually moved south to Montana and received his B.S. in Wildlife Biology from the University of Montana, and his M.S. in Fish and Wildlife Management from Montana State University. Over his career he's had the opportunity to work on a wide variety of taxa from charismatic megafauna like elk and grizzly bears to charismatic microfauna such as bats and terrestrial small mammals, birds, reptiles, amphibians, and other nongame species. His previous work included establishing baseline surveys for nongame species across the northern Rocky Mountains and Great Plains, exploring how invasive brome grasses impact small mammals in sagebrush-steppe habitats, modeling disease ecology of large mammals in the Greater Yellowstone Ecosystem, and other projects. Outside of work Dan enjoys rock climbing, skiing, backpacking, hunting, and hiking. AMcEwan@mt.gov Alexis McEwan grew up in a variety of places across Canada. She spent a number of years around the Great Lakes where she gained knowledge on the flora and fauna of these ecosystems. Living in northern Manitoba she experienced the wildlife of the tundra and boreal forest. Because of these experiences, Alexis enjoys the beauty of the outdoors and likes to spend time camping and hiking to explore her surroundings. In 2007, she received her Honours Bachelor of Science degree in Biology at Lakehead University in Thunder Bay, Ontario. During her undergrad, she worked various avenues as a biologist such as assisting in a mycology lab; as a field assistant conducting amphibian and reptile surveys in the Lake Superior Basin; and assisted in cancer research at Thunder Bay Regional Health Sciences Centre. In 2009, Alexis accepted a position with the Montana Natural Heritage Program to conduct amphibian and reptile surveys across the state. This position allowed her to increase her knowledge on herpetofauna while exploring the beauty of Montana. In 2011, curiosity drew her to northern British Columbia for a Master's degree position to assess the habitat requirements of the Coastal Tailed Frog using radio telemetry and pitfall traps. After completing her MSc., she worked as a consultant in Terrace, BC. She found the Pacific Northwest to be a wonderful playground with many avenues still left unexplored. However, the concept of returning to Helena to assist the Montana Natural Heritage Program with their statewide acoustic survey of bats enticed her to return.